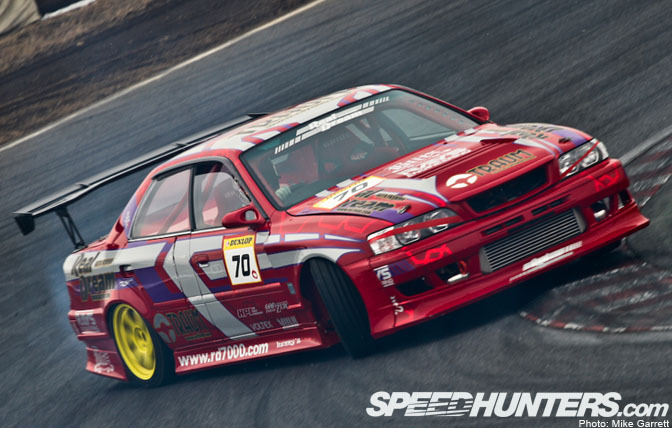 While the Tsukuba Circuit 2000 course may be legendary among Japanese car nuts for its status as a time attack venue and proving ground for the latest in performance technology, it also makes for one hell of a drift course. A few years ago, Tsukuba was the site of the D1GP final round as well as famous drift events like the BM Hai and Advan Drift Meeting. 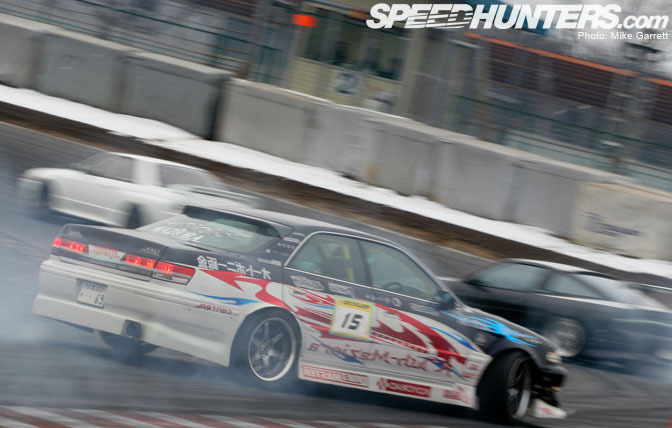 While many of those events have since moved on, Tsukuba still sees some occasional drift action. 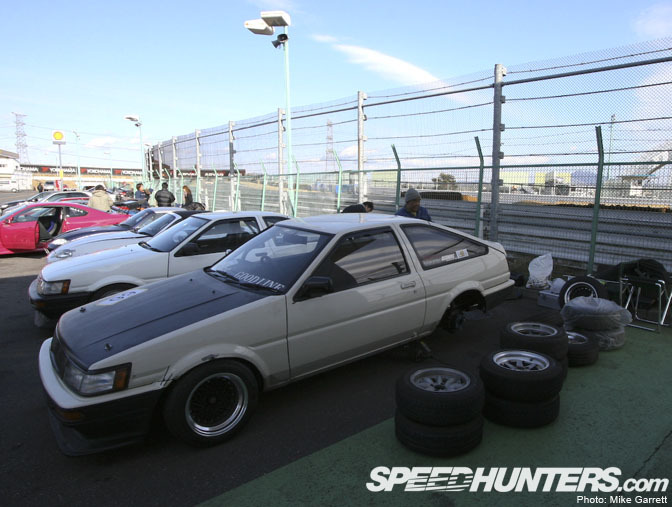 Actually, for this year D1 Street Legal will be returning to Tsukuba for its championship round in December and I sure am really looking forward to that one. 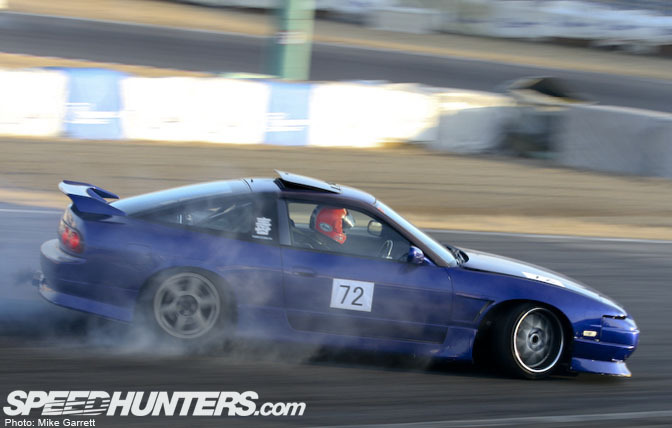 For now, I thought I would share a few of my photos taken at Tsukuba drift events earlier this year. 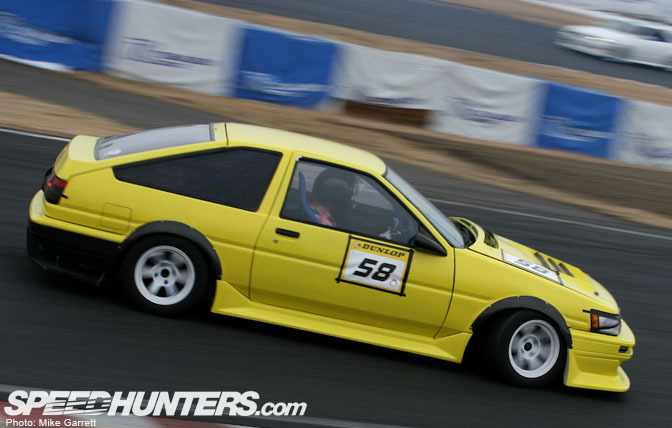 If you haven't seen Tsukuba drift before, go search YouTube for some videos! 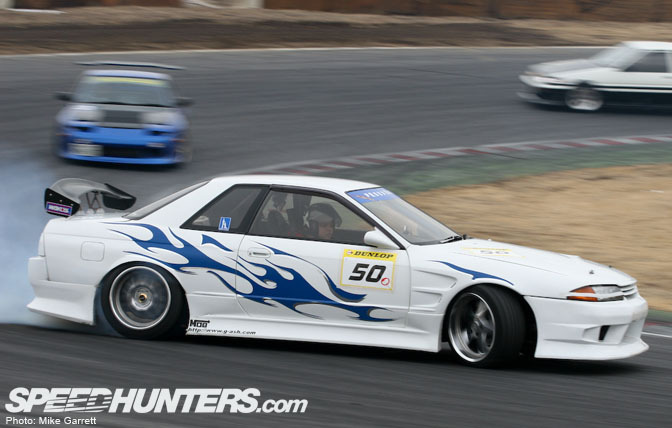 I think Tsukuba's S-curve section leading into the first hairpin is one of the coolest drift areas of all time. DOPE!!!!!!! I love these cars Mike! Esp the cream colored 86 at the top, I have a photo standing with that car in 1999 when it was newly built! Awesome! Mike you got some more pics of those in Otaku right? Yeah there should be some there if you check the posts from a few months ago. They are having another small drift meet at Tsukuba in a few weeks. I'm gonna try my best to get out there. That creme color is absolutley perfect for a Levin . I dont know why, but it is. That white Chaser is oure distilled awesome. Great work as always Mike! 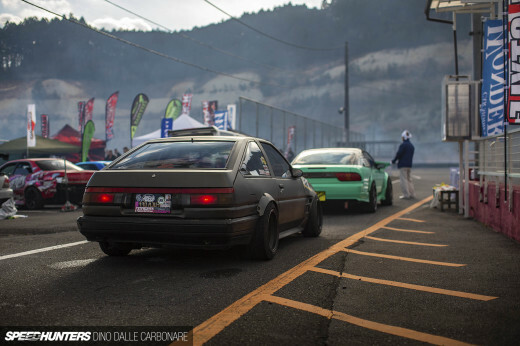 Antonio, i too have met this car, there is another car the same colour, only a kouki coupe that gets around in ichikawa, on black work meisters. Serious stance to it.